Select your Desktop Finish: ? Would you like to add the Artisan Bar? 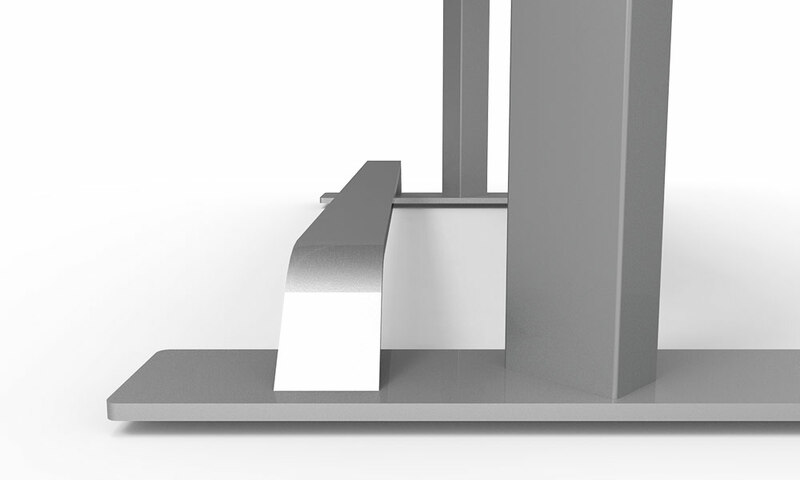 While the Terra 2s is designed for maximum stability without a crossbar, the low-profile sculpted Artisan crossbar adds elegance and increases lateral stability even more. Starting with half-inch solid aerospace-grade aluminum, craftsman artfully bend the ends with 45 degree angles using 60 tons of force. 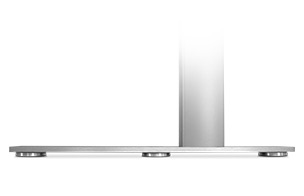 The result is a unique sculpted aluminum beauty. 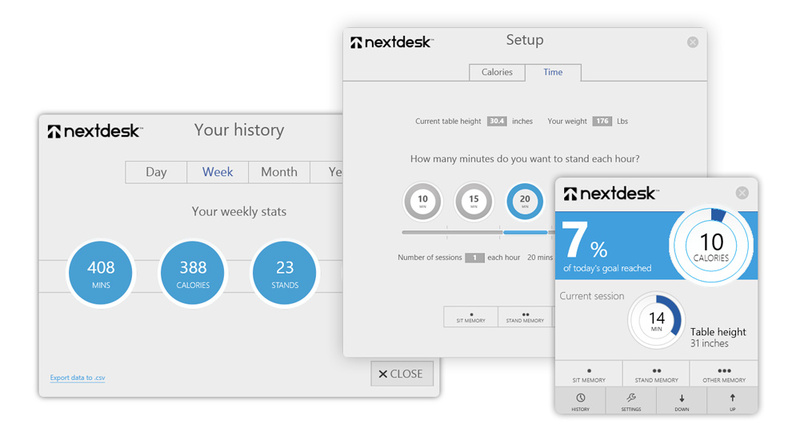 Would You Like To add the Xdesk Terra Nest?? The Nest storage space allows you to keep your most important tools close without taking up valuable surface area on your desktop. Now, you can add up to a massive 2,448 cubic inches of quick-access space below your desktop. Store your favorite electronics, tools, and supplies within arm’s reach while maintaining the clean, uncluttered look of your desktop. Add the Nest compartment for additional storage space right where you need it. Would You Like to Add the Xdesk Terra Loft ? 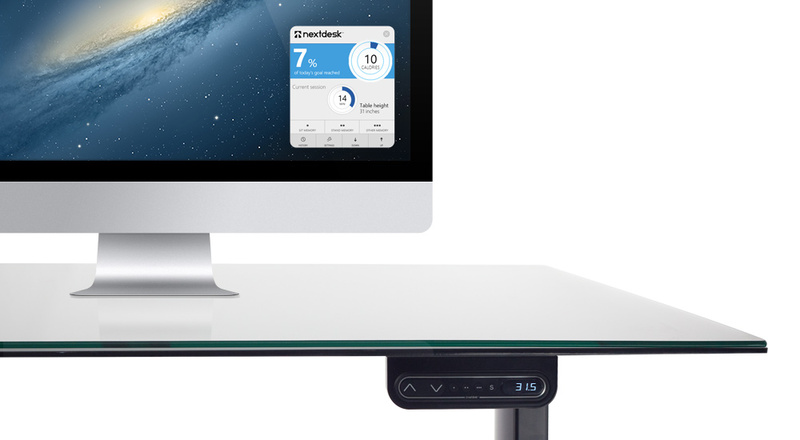 Add the all-new Loft platform and increase the surface area of your desktop by a remarkable 29%. 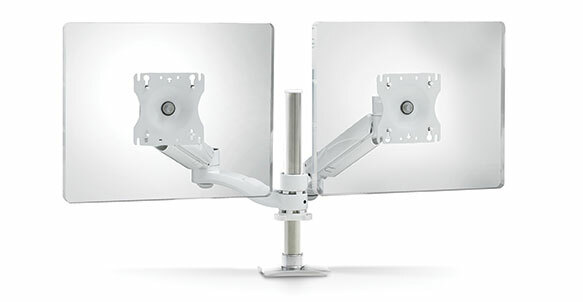 Position your monitor at your optimal ergonomic height, as well as feature other accessories, like speakers, without taking up space on your desktop. With an aluminum support base and bamboo surface, it’s designed to perfectly coordinate with the aesthetic of your chosen Xdesk. An oversized grommet hole trimmed in matching metal keeps cables organized and neatly controlled. Add Loft to your desk for additional working space and a unique multi-level desktop design. Would you like the 79" Extended Desktop Size? 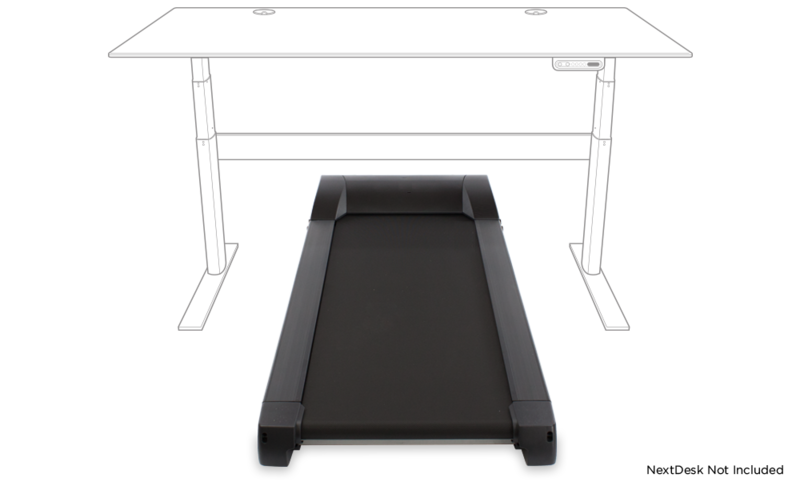 The standard Xdesk measures 60" inches wide by 31.5 inches deep and is ideal size for most office settings. 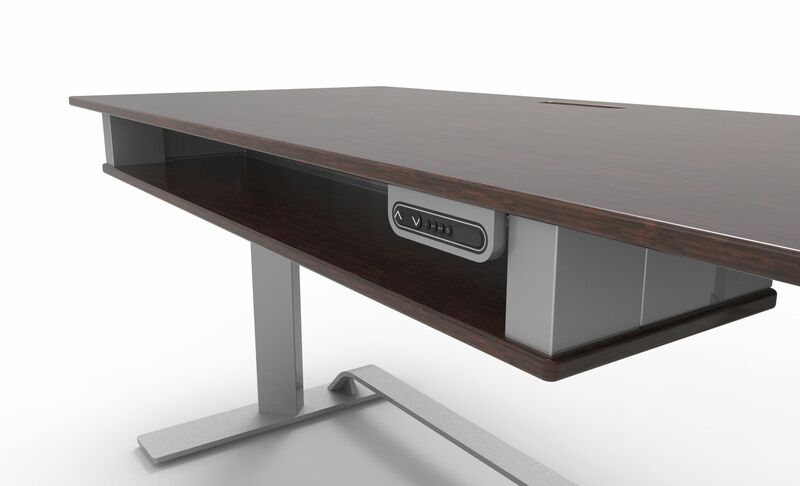 The standard Xdesk measures 63" inches wide by 31.5 inches deep and is ideal size for most office settings. 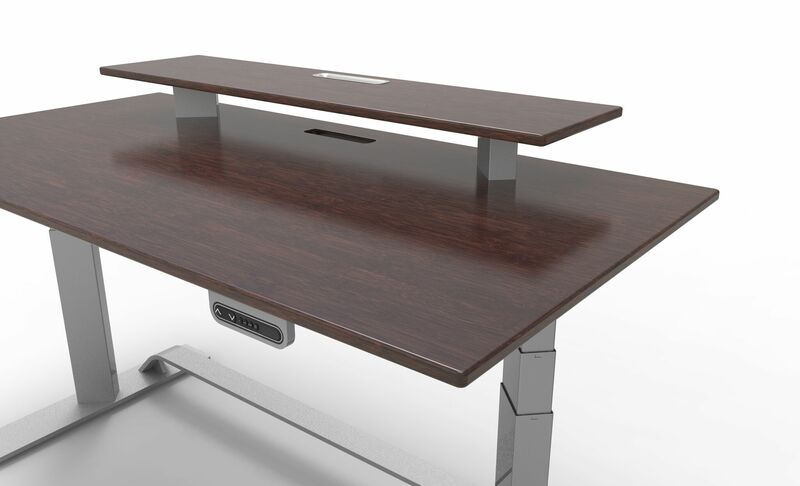 For even more desk space, Xdesk Terra can be extended from the 63 inch width to 79 inches wide. The depth is 31.5 inches. 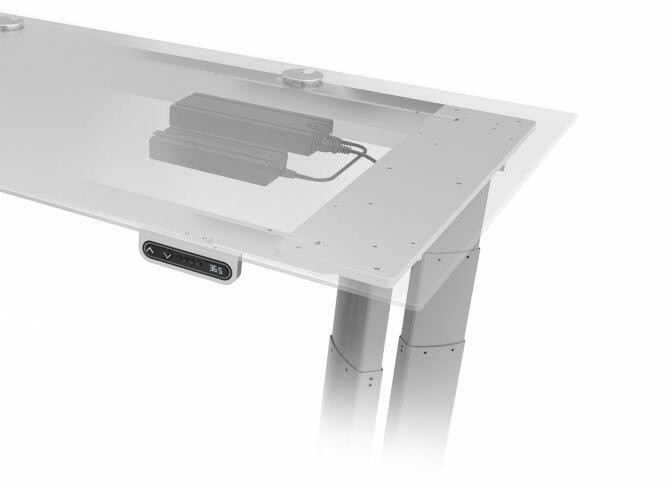 For even more desk space, Xdesk Terra can be extended from the 60 inch width to 72 inches wide. The depth is 31.5 inches. 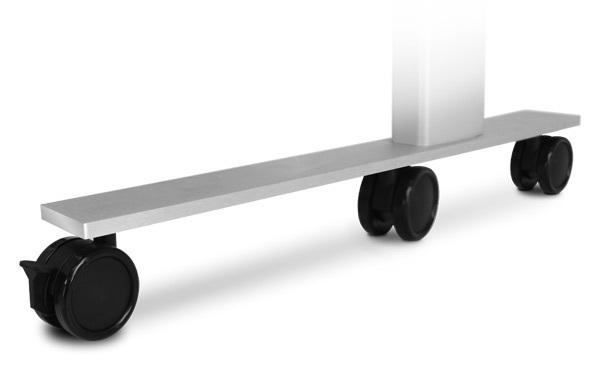 The Xdesk Vanity Cover and Cable raceway is custom-fabricated from solid aluminum and finished to match each Xdesk frame. 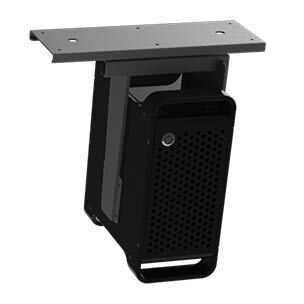 Easily drop all cables and wires through the grommets on top of the desk, directly into the raceway. 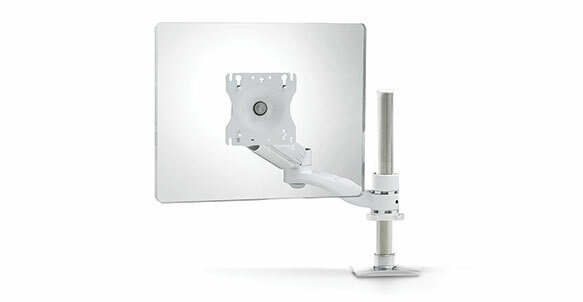 The Vanity Cover is made with NextFlex™ technology to hide all wires. 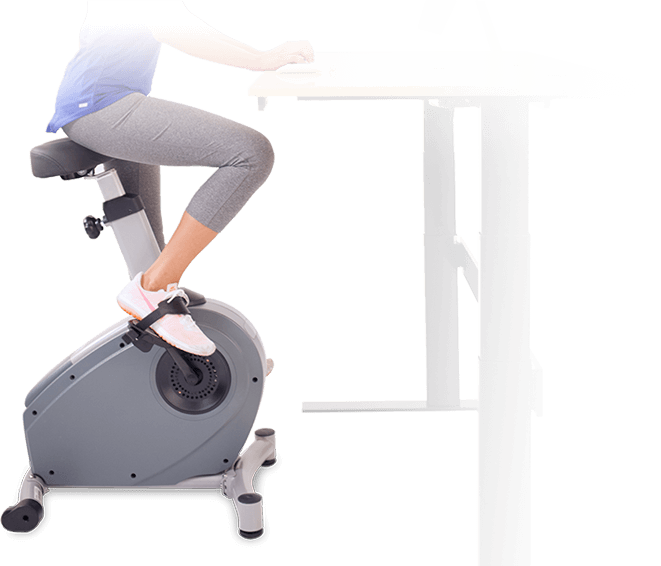 At Xdesk, we think knowing your desk will stand with you through every day builds trust and confidence. That’s why your Xdesk and its motors are backed by a best-in-class 5 year limited warranty. 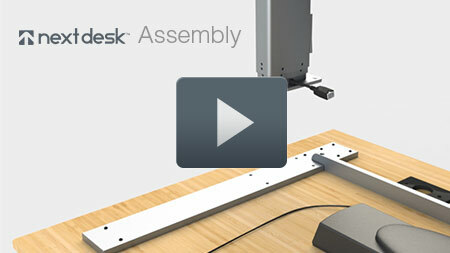 All Xdesks are designed, manufactured and assembled in the the great city of Austin, Texas.